Is your company thinking about adopting additive manufacturing? We share 5 tips to help you get started. Additive manufacturing has become a key manufacturing method for production. According to a recent survey by Jabil, over 60% of manufacturers are using 3D printing technologies to produce at least 10% of their functional or end-use parts – a significant increase from the previous year’s 36%. 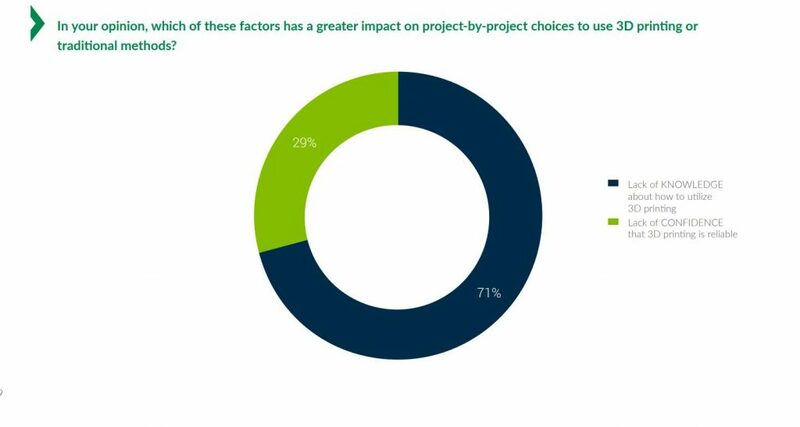 With the vast majority (79%) of those surveyed looking to double their AM production in the next three to five years, it’s becoming increasingly important for companies to explore the technology as a means of reducing production costs and remaining competitive. The growth of 3D printing technologies across industries shows that companies, both small and large, can benefit from 3D printing in multiple ways. For companies looking to embrace more agile manufacturing, additive manufacturing provides a cost-effective solution for on-demand production. The technology can be used to make tooling and spare parts at the point of need, reducing the need to maintain an excess stock of inventory. Additionally, for companies exploring new design approaches, 3D printing expands design possibilities. Complex geometries, such as lattice structures, can be 3D printed to create components impossible to produce with other technologies. Furthermore, 3D printing makes mass customisation attainable. With traditional manufacturing where high-volume, mass production is standard, the costs to produce customised products in small batches can be prohibitive. 3D printing enables manufacturers to bypass high tooling costs, thereby producing customised parts faster and more cost-effectively. In spite of the benefits, many companies remain hesitant about embracing additive manufacturing. This is particularly the case for small and medium-sized companies, where resources can be limited and the prospect of investment daunting. Fortunately, starting the journey towards additive manufacturing doesn’t have to mean investing a large amount of capital or reinventing your current business models overnight. To successfully develop and implement an AM strategy, it’s rather a question of investigating the requirements you need and gradually moving towards incorporating the technology into your existing processes. Below, we share 5 actionable tips to help you start with the journey of reaping the benefits only additive manufacturing has to offer. Do you have old parts that could benefit from a redesign? Or are you currently stocking low-demand parts that could be produced on-demand instead? These are just two reasons for considering AM in the place of traditional production methods. BRC Automotive did just that. 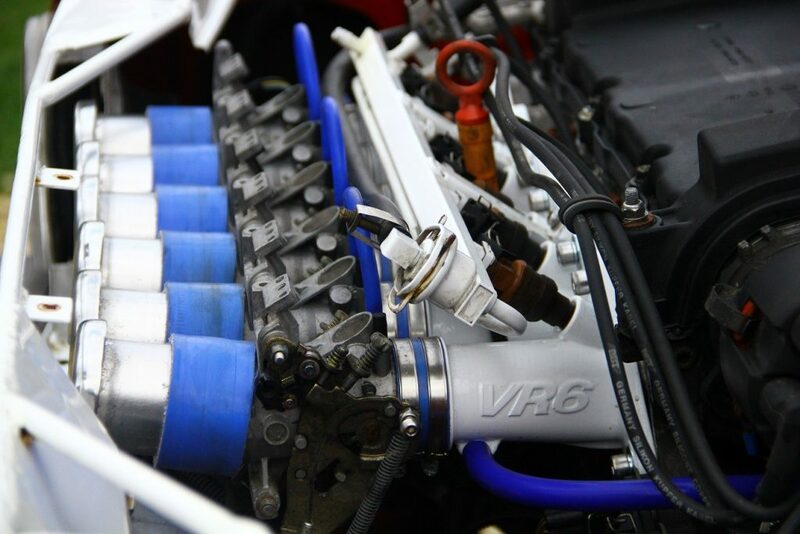 Working alongside AM specialist, 3T RPD, the automotive design company used additive manufacturing to produce a custom inlet manifold for its VW VR6 12v engine. These and other low-volume, complex parts would ordinarily be injection moulded or cast, resulting in high costs. Additionally, designers were able to include design features not possible with other manufacturing methods. As this case study demonstrates, examining your product portfolio is a key step when determining your company’s potential applications for the technology. Other ways to leverage AM include manufacturing parts that are typically produced in low volumes or components that require a high level of customisation not economically viable with traditional manufacturing. Of course, not all parts will benefit from additive manufacturing – which is why identifying potential applications is key. If your design is prohibitively expensive, or otherwise too complex to manufacture, AM could be the right choice. In contrast, where high-volumes are needed, it’s likely best to consider injection moulding. Setting up a centre of excellence (CoE) is a great way to manage the adoption and integration of additive manufacturing. A CoE can be defined as a team or facility set up to support business objectives and drive your company’s expertise in a certain area – in this case, additive. Your CoE will be key to finding the best use cases and practices – and disseminating this throughout your organisation. Putting such a team in place will require input from key stakeholders, including production staff and engineers. Of course, this isn’t without its challenges, not least because AM differs considerably from conventional manufacturing techniques. It means rethinking conventional approaches to design, production and supply chain management. This means that your CoE should also focus on fostering a new organisational mindset that will help to embrace the new manufacturing and business models offered by AM. Swagelok is one company that has identified the importance of a cultural shift in addition to process changes in successfully integrating AM. The US company manufactures high-volume gas and fluid systems components, with extensive capabilities in subtractive manufacturing methods. However, the company has identified areas in which additive manufacturing can be used to overcome the limitations of these traditional methods, for example in the production of its steam traced ball valve. In a recent conference held by SME, Swagelok’s presentation focused on the importance of changing company culture and its commitment to creating a ‘multi-faceted additive manufacturing strategy’. Developing your workforce will be another strand of your centre of excellence. With the vast majority of manufacturers citing a lack of knowledge as a key barrier to their adoption of aM, developing a talent pool in-house is becoming increasingly significant. And developing a centre of excellence is not limited to large corporations, either. SMEs can equally take advantage of this approach, particularly when putting an AM strategy in place. Making use of such educational programmes, for instance, can be a great starting point. For example, the Manufacturing Technology Centre (MTC) launched the UK’s first additive manufacturing apprenticeships in 2018. The apprenticeship programmes have been developed to address the AM shortage of skills within an end-to-end additive manufacturing production ecosystem. In spite of the challenges, establishing a CoE will greatly increase the chances of successfully improving your knowledge and expertise in AM, while developing best practices for using the technology. Choosing to invest in AM doesn’t have to mean adopting 3D printing technologies in-house. If you ’re new to additive manufacturing, outsourcing AM projects can be a great introduction to the technology and help you decide in what ways it can be integrated into your processes. 3D printing service bureaus and hardware manufacturers are a great source of knowledge that you can use to your advantage. Service bureaus, for example, can advise on critical issues, such as material and design requirements. You’re able to benefit from support and specialist expertise throughout the manufacturing process. If looking to move your AM production in-house, partnering with hardware providers is the next step in your AM journey. AM equipment manufacturers will have a deep understanding of how their hardware and processes work. Additionally, AM hardware manufacturers will often offer manufacturing services. Working closely with them will enable your company to leverage their expertise to achieve maximum efficiency. Choosing your hardware wisely will help in the long run to achieve a scalable production facility. As you begin developing AM production capabilities in-house, you’ll need to start thinking about your software ecosystem. Integrating additive manufacturing into new and existing workflows will require a high level of connectivity between machines and the ability to coordinate these processes. To help you run your AM production with maximum efficiency, it’s therefore important to consider how you’ll be able to efficiently manage the overall production process. For example, Bowman Additive Production specialises in the production of bearings using AM – with the technology able to produce complex geometries. Since the AM specialist handles several projects on a daily basis, maintaining a clear overview of the parts in the request, production and post-processing stages would be challenging with tools like Excel. The use of workflow software has enabled the company to maintain a streamlined production process, with production managers able to track parts through their lifecycle and coordinate processes accordingly. Optimising your workflow to establish an end-to-end management process from the get-go will ultimately simplify your adoption of additive manufacturing. Finally, establishing collaborative relationships with universities and research institutions is another way to foster AM adoption within your organisation. There are mutual benefits to such a partnership. On one hand, companies can gain greater access to cutting-edge research and scientific talent. On the other hand, universities are able to access financial support and partners in research. One example is Proto Precision Manufacturing Solutions, a US company that specialises in metal fabrication. Seeing the advancements in metal 3D printing technology, the company decided to tap into its potential. However, for a relatively small company like Proto Precision, buying a metal 3D printing wasn’t a viable option. For this reason, in 2018 the company signed a partnership with the Ohio State University’s Center for Design and Manufacturing Excellence (CDME). The aim behind the partnership is to help Proto Precision develop its metal 3D printing capabilities. CDME hosts a range of metal 3D printing technologies within one university lab, from binder jetting to powder-bed fusion. With this access to high-end 3D printers and CDME’s expertise in AM, Proto Precision was able to quickly integrate metal 3D printing technology into their operations to meet the needs of its growing customer base. This is just one example of how the combined power of industry and academia can accelerate innovation. Beyond that, companies looking to incorporate AM into production, but lacking the necessary skill sets, can turn to universities for workforce development. In light of the existing AM skills gap, building stronger relationships with universities – especially those that run AM educational programmes or training courses – is a beneficial model that can yield great results. Adopting any new technology can be daunting and isn’t without risk. However, the long-term benefits of additive manufacturing far outweigh the initial time and investment needed. For those that are completely new to the technology: start small. Explore the technologies available, prioritising those that will work best for your needs. Take advantage of the expertise offered by service bureaus and hardware manufacturers alike, as well as the training and educational opportunities provided by research institutions. Finally, start to develop a strategy for implementation – using your centre of excellence as the focal point. These steps will help you gradually make your way towards building your own expertise in using AM.